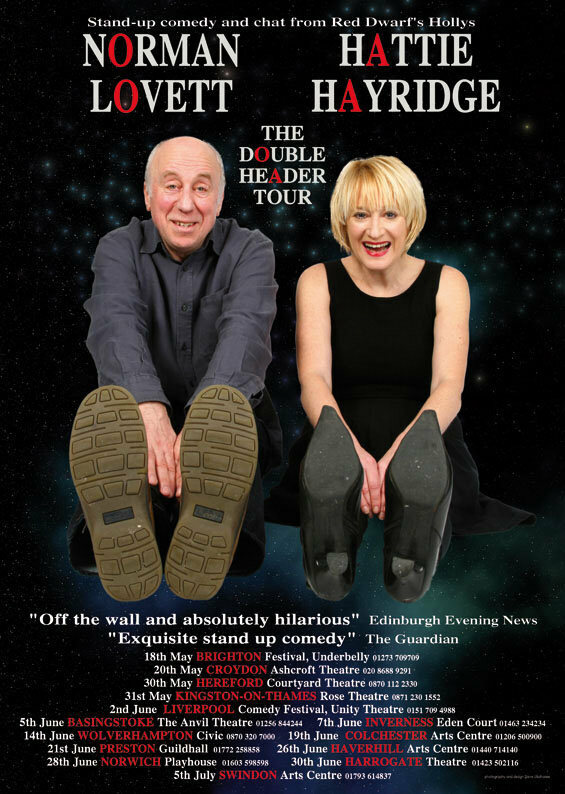 Former Hollys Hattie Hayridge and Norman Lovett talk touring, topics and travel with Mr Flibble. Mr Flibble has a seat booked for the 'Double Header' tour - back row, close to the bar. How did the concept for THE TOUR come about? Norman: I had just finished my slide show tour in 2007 and I really enjoyed it, so I got to thinking about doing another tour in 2008. Hattie and I had spoken about touring together many years ago and I thought the time was right. Hattie: We'd generally talked about it over the years. At the end of last year we decided we would get on to promoters about it, then the same week I happened to meet a 'booker' organising national tours. He said he'd love to do a tour of Norman and me, so that was that. Timing. What kind of subject matter can we expect to see tackled? Norman: You know me anything goes! Ironing and oven gloves will definitely make the cut. Then there's those people that jog with rucksacks filled with weights, and don't forget those poor bankers that will be losing their jobs due to the recession. Pairing socks. Hattie: I wonder if the world would be a better place if everybody was happy, what about people who are only happy when they're moaning? Where do they fit in? Are they part of the problem or part of the solution? Oh and footless tights. Are there any areas where you've found yourselves covering the same topics? Hattie: We haven't so far. If there is, I think it would work that the person who's going on first that night gets to do their topic and the other one may have to skip it. Though we could refer to what the other one has said. Not sure of Norman's angle on footless tights. Or we'd have a punch up in a very muddy field. Do you think you really do have similar STAND-UP STYLES, or is that just a 'surface appearance' thing? Norman: I think 20 years ago we did, although with different types of material, but today I feel we are distinctively different. How do you think those styles have changed since you began in comedy? Norman: I certainly had to go a bit faster, and never used any props like I do today. I also talk to the audience more than I used to. Hattie: I think both of our styles are natural to and part of each of us, and not put on, so it's not likely we'd dramatically change styles, but the styles have evolved. I also think I'm talking a lot faster than I apparently am. Mine is less one-liner after one-liner, though I still don't ramble on. I like a joke to be there pretty quick. Mr Flibble once improvised a ten-minute monologue when he was appearing in The Caretaker. Do you guys work from a fairly fixed script? Is there room for improvisation? Hattie: My favourite shows are when you think of subjects while you're on stage and can go with it. This does have to come from there being a certain amount of script there in the first place, and then good audience reaction and being in a playful mood. Norman: Mine won't be exactly the same each night. I'll always improvise to a certain extent depending on the warmth of the audience. The tour's poster art embraces the RED DWARF CONNECTION - is this something you've both had a change of heart about? Hattie: The poster art has red letters in it, yes; a little nod to the aficionados. We've deliberately not done only our heads or anything like that, but that is what we look like. 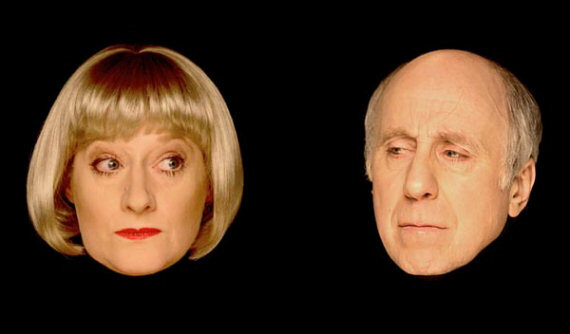 Norman: No-one will probably believe this but I had no idea at the time of mooting the tour that 2008 was the 20th anniversary of Red Dwarf, but once we knew that how could we not bring it in? We want the RD to be there, but not to take away anything from the fact that we are seasoned stand-up comedians. Hattie: It really is a coincidence that it's the 20th anniversary. 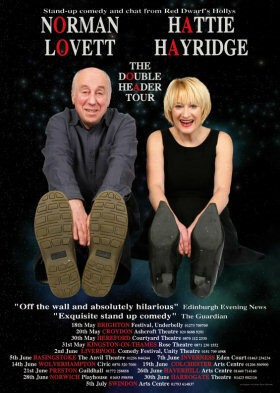 It's just taken Norman and I that long to sort out doing a stand-up tour together. I never get fed up being associated with the show. It's just I hadn't wanted people to think that my stand up would be about Red Dwarf so that's why I've kept it apart. The stand-up still won't be about Red Dwarf. I haven't done it at sci-fi conventions as, for me, it feels like just getting up in the middle of a party and doing a little something, which I find weird. I like to just appear and not to have been hanging around with the audience beforehand. It's just me being a bit weird. 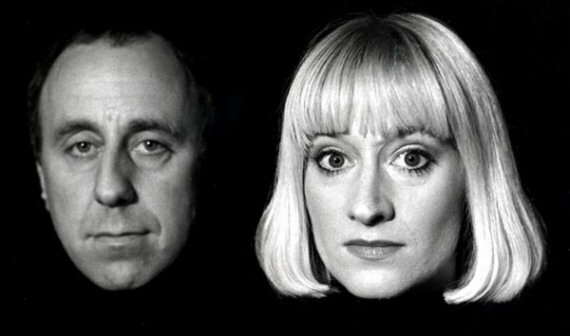 Having played the 'same' role on Red Dwarf, how has your relationship with each other changed over the years? Norman: We've always got on well and I think we have a good working relationship and we both have respect for our fans. Hattie: It's true, we have always got on well. 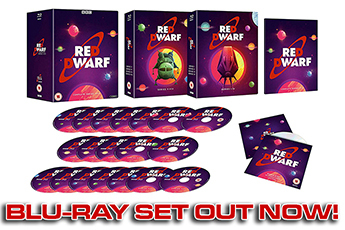 Norman lent me all the videos he'd recorded of the first Red Dwarf series when I started on the show. 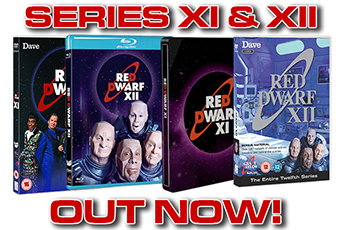 We've done lots of sci-fi shows together, have the same sense of humour and moan on about the same things. Mr Flibble always travels first class. Or as luggage. Will you be coming back to the UK between convention appearances in the States? Hattie: I think it's cheaper to stay there. I might travel between the Conventions by train. Will you be performing at the JumpCon events, or 'just' doing Q&As and signings? Hattie: I'm thinking again I won't be mixing my sci-fi events with my stand-up. Norman: I may be doing a bit of stand-up out there. Do you have any plans to film the tour? Norman: Not for the first leg of the tour. What's your relationship with the internet? Norman runs a website of his own, but Hattie you don't...? Hattie: Me, I'm still on dial up. Though I have just bought a Pay as You Go broadband, which apparently doesn't work on a Mac. I could download the software from the net, but then I'm on dial up and it'll take forever. Really I need to get some kind of broadband. This sums up my relationship with the internet. Norman: I think it's great but it's not everything is it? Or is it? Hattie: I do go to Internet cafes though, nice ones, not those call centre sweatshop looking ones. The best ones ever are in Australia, sitting at a beach cafe under the palm trees with a mango smoothie. Though then you can't see the screen for the sun reflecting off it. But you can't have everything. And it's a long way to go.... Anyway I might get a website. 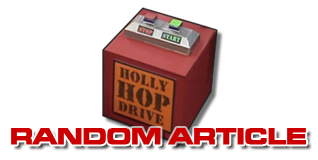 RANDOM QUESTIONS - what's the most show-biz moment of your life so far? Norman: I not one for going to showbizzy things but I did go to the comedy awards a few years ago because Red Dwarf was nominated for an award. I went with my wife and there were press there taking pictures and I was asked to pose and I did in my own little way but the picture never got used. So close yet so far away. Hattie: I love going to show biz things, but then I've got better frocks than Norman. Norman: I was the best-known person in it at the time but not any more. It was something for them to cut their teeth on and they went on to really great things. I haven't seen Simon [Pegg] or Edgar [Wright], but I saw Julian [Barratt] recently and he's a lovely person. If your home were about to be sucked into a black hole, what three things would you rescue? Norman: My wife Fiona and my daughters Lily and Kitty. Can I take my dogs Beano and Elvis? Hattie: I live on my own, just saying that so it doesn't look callous if I don't mention saving other people. So with that in mind I'm going to be very practical - 1. The fire insurance policy so I knew who to ring to put in the claim; 2. Passport, so I can go on holiday and forget about the fire; 3. My panda, Andy, [whom] I've had since a baby. Actually he'd have to be number one, as he's full of straw. This is all assuming I'm dressed and have got my contact lenses in. Mr Flibble enjoyed talking to Norman and Hattie, and now that it's over... Mr Flibble's very cross.